Daily Announcements – BSEC in the community! Acupuncture is cancelled today due to illness. The Beat of Boyle Street goes on: Yesterday, our boys’ traditional drumming group demonstrated traditional songs for Ms. Chan’s grade 1 students at Suzuki Charter School. The boys were very well received and expertly represented the importance of the drum in traditional First-Nations culture. 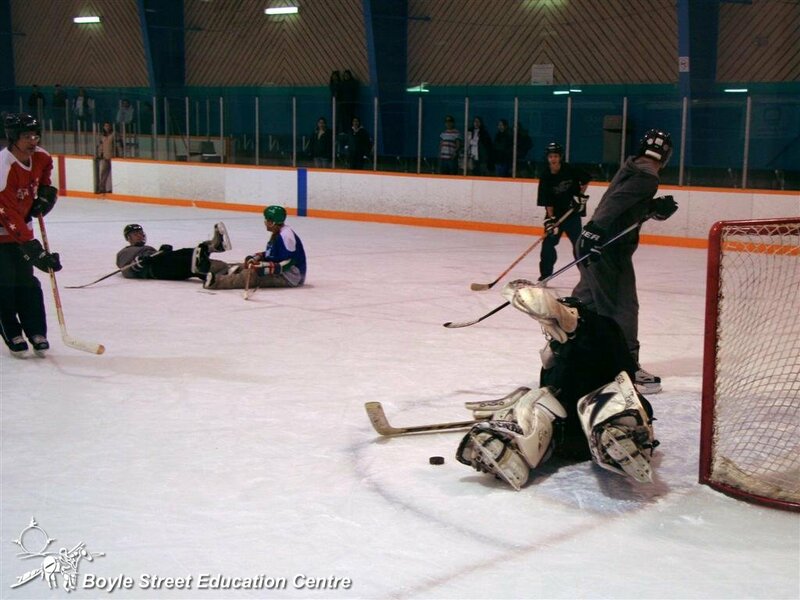 Daily Announcements – Oilers Contest, Martial arts and acupuncture schedule! 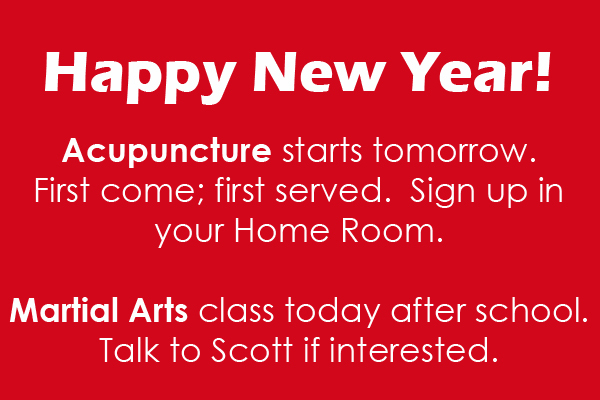 ACUPUNCTURE: Leslee, our acupuncturist, will not be in next week on January 24th. So if you usually see her you will have to do so on either the 17th or 31st. Martial Arts Class: Today, in the gym, @ 3:30 PM. Hiya! On Sunday Jan 15/12, what was the final score between Oilers vs Kings? Daily Announcements – Jobs and Love! Wanna travel? Never been anywhere other than Canada? There is an opening for a male participant for the school trip to Peru. See Cliff or Neda for more information. This offer ends Wed. Sep. 07 by 3pm. 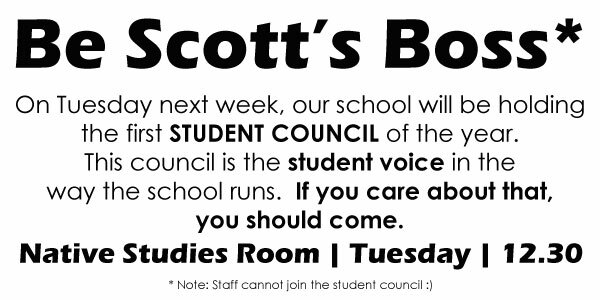 Sign up for Student Council and let your voice be heard! Acupuncture starts today. Group session will still occur in Block 6 in the Native Studies Room. 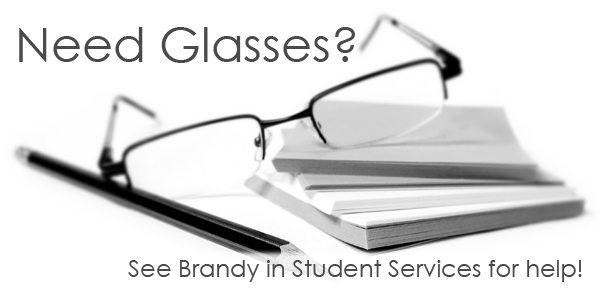 See Brandy in Student Services if you need help getting glasses. Parenting classes for Credit are now available. 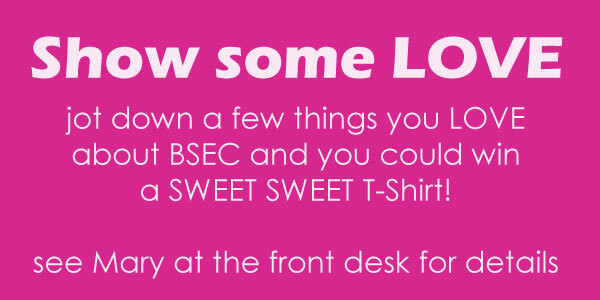 See Brandy in Student Services for more information.